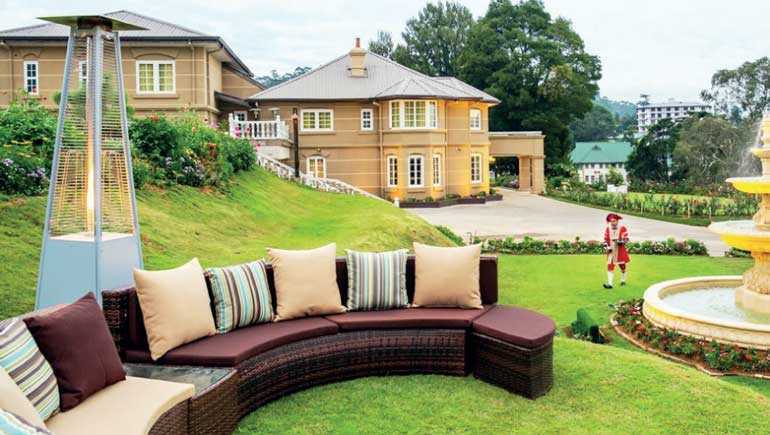 The Golden Hospitality Ltd. decided that the discerning traveller to Nuwara Eliya should be given a taste of ‘Little England’ with the old world charm experience and modern amenities. The first property was the luxury 45-roomed, The Golden Ridge Hotel built brand new with all the modern comforts and amenities a guest requires while on holiday. The ‘Clovelly Grounds’ so named during Colonial Ceylon has a history dating back to 1898. 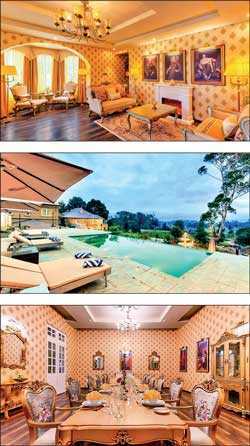 The Clovelly Bungalow with panoramic views of the Pidurutalagala range has been lovingly renovated, and can comfortably accommodate up to 12-15 guests in the cosy six bedrooms while providing privacy of a home and services of a star-class hotel. Adjacent to The Clovelly Bungalow and The Golden Ridge Hotel is The Sackville Bistro of the hotel, which serves tapas and wholesome meals on two levels, the bar deck or lower dining area with a total of 140 covers. The most luxurious property is The Westbury. Its history of ownership by Major Thomas Edward Hall in 1833, Sir Henry George Ward in 1856 and Barbara Jane Layard in 1896 adds to the grandeur. Overlooking the Royal Turf Club and refurbished to its former glory with eight luxurious rooms and the many facilities including the pool, gym and spa with personalised services is meant to spoil those who wish to step back in to history. Enjoy a choice of cuisine served in any part of the property, a book by the fire place or high tea on the lawn at sunset and rejuvenate.